After a traumatic event in her life, Connie Acosta heads down to the Jersey Shore to stay with her friend, Sara Mazza, who lives in a fifty-five and over community. For Connie, this is a temporary stop until she figures out what she wants to do. Connie and Sara have a brief discussion and decide to start the baking business they had spoken about decades before. But things take a dramatic turn when Sara gets Connie involved in a mysterious adventure at the clubhouse. Connie Acosta is officially a resident in the fifty-five and older community her best friend Sara Mazza lives in. 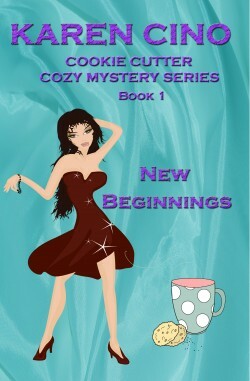 Her baker’s kitchen is almost complete and she has met Vic, another resident who is crazy about her. Meanwhile, Sara finds herself in the mist of a love triangle with Vic’s friend Jack and Warren, a police officer at the local station. 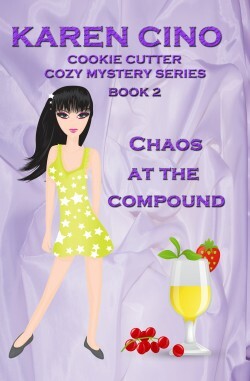 When Sara received a call from her friend at the clubhouse saying there is a dead body floating in the outdoor pool, the women rush there to check things out, getting themselves involved in another investigation, especially when Sara finds a few blue pills scattered in the grass that she didn’t turn into the police. Who said seniors can’t get into trouble and fall in love again.